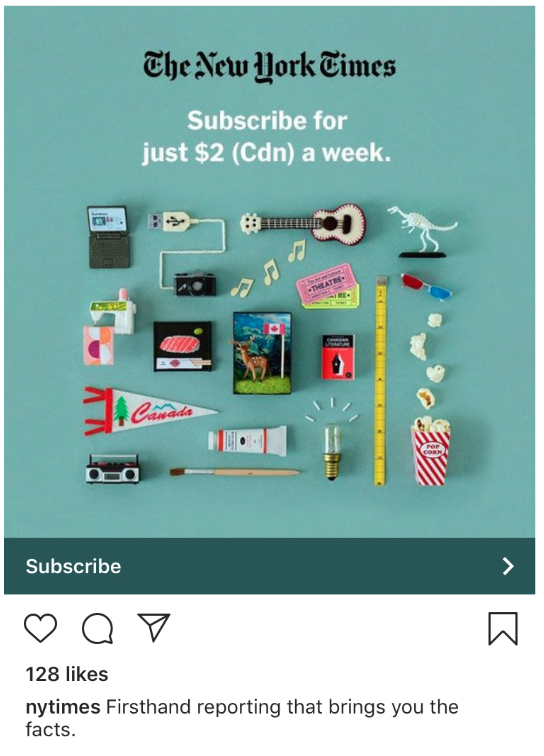 Instagram ads are a great way to share your content with the platform’s one billion users. They’re invaluable for growing your followers, building your brand, and driving sales. The key to a successful Instagram ad strategy is experimenting and refining. Rapidly generating and testing ads will help you learn quickly what works best for your brand and your target audience. You don’t need to spend a ton of time on each one—you just need to understand the most essential elements of an awesome ad. 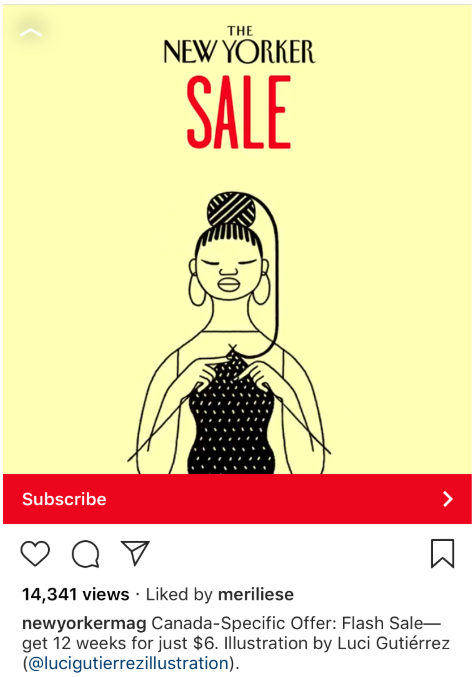 In this post we’ll guide you through creating a perfect Instagram ad in only 10 minutes. 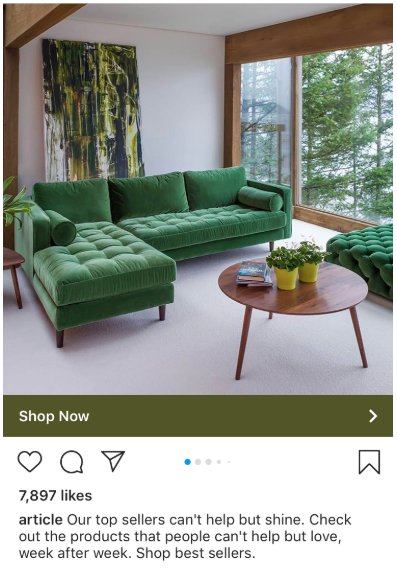 We also have a step-by-step breakdown on the art of Instagram ads, if you need a more detailed primer. 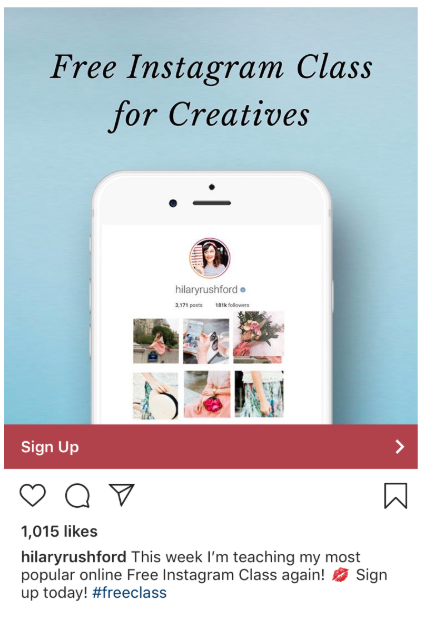 Note: To run Instagram ads, you’ll need to set up an Instagram business account and then link to your company’s Facebook Page. Decide what action you want people to take when they see your ad. 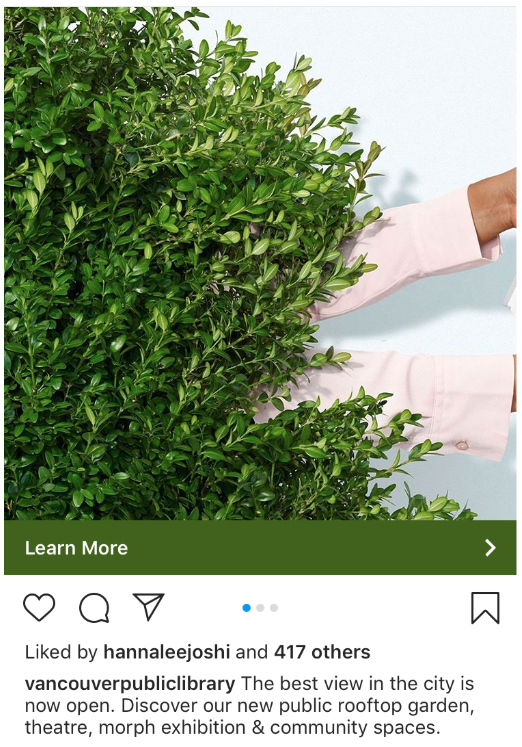 An Instagram ad isn’t like a Swiss army knife: it should have only one purpose. Are you promoting a new product? Sharing a limited-time offer? Raising awareness about your brand? Choose the objective that best aligns with your advertising goal. It should be clear and simple, to you and your audience. This objective is the foundation of your ad, so keep it in mind for the next nine minutes. Next, take a couple of minutes to decide who you want to reach with your ad. Understanding your audience is key to creating ads that catch their attention and make them want to click. If you have them, audience personas can be helpful here too! If your goal is to reach as many people as possible, it might be tempting to leave your audience filters wide open. But honing in on a specific segment or demographic will provide you with more useful data about your audience’s preferences and interests, and ultimately help you refine your ad strategy. Want to share an in-store promotion or drive registration for an upcoming event? Narrow your audience by location, like the example above. Trying to reach new customers? Use a lookalike audience to find people who share similarities with your existing customers. There is one thing that all audiences on Instagram have in common: a short attention span. You don’t want people to get bored of your ad, so set it to expire after a week or two. Then you can take what you’ve learned and put it in action for your next 10 minute ad. Now we’re ready for everyone’s favorite part of Instagram: the visuals. 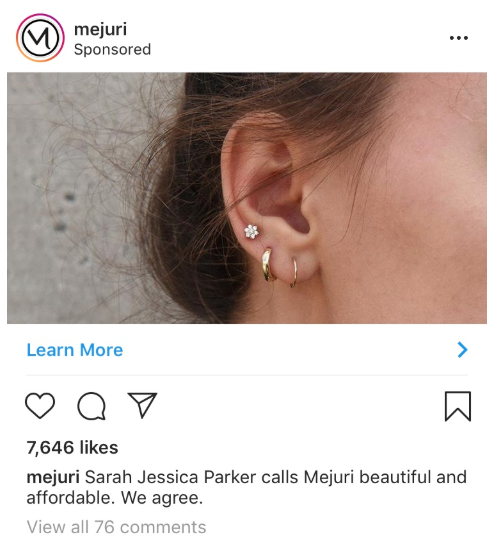 Ads on Instagram can take the form of photos or videos, in the Feed or as Stories. For the purposes of this 10-minute overview, we’re sticking with the OG: a Photo Ad. Your ad should be aligned with the rest of your brand identity, as well as the landing page that your audience will see when they click (more on that at minute 9!) Think of it as a window display for a shop: it’s a curated look at what’s inside. To that end, make sure your image aligns with the rest of your brand identity! When someone clicks on your ad, the experience on the other side should mirror the look of your ad. Instagram has always been a visuals-first platform, and that rule applies to ads too. No matter how incredible your offer is, if you’re leading with a lackluster photo, your audience will just scroll on to the perfectly-lit brunch post below. If you need a crash course in Instagram photography, you can learn how to take an excellent photo using only your phone and how to edit to perfection. The maximum size for an Instagram photo is 1936 x 1936 pixels. Stick to that size to ensure your photo isn’t blurry or grainy, and looks sharp on every screen. If you’re promoting a specific offer and aiming for conversions, it can help to include the offer right in the image. Just make sure you’re not sacrificing quality for directness. Your ad still needs to stand out and appeal to your audience. To paraphrase Tyra Banks: Convert, but make it fashion. Think about your audience again. How do you want them to feel when they see your ad? What will appeal to them and make them want to click? For instance, you can appeal to their sense of humor by using a cheeky visual or a funny photo. Or you could create a different kind of mood that reflects your brand or offer. 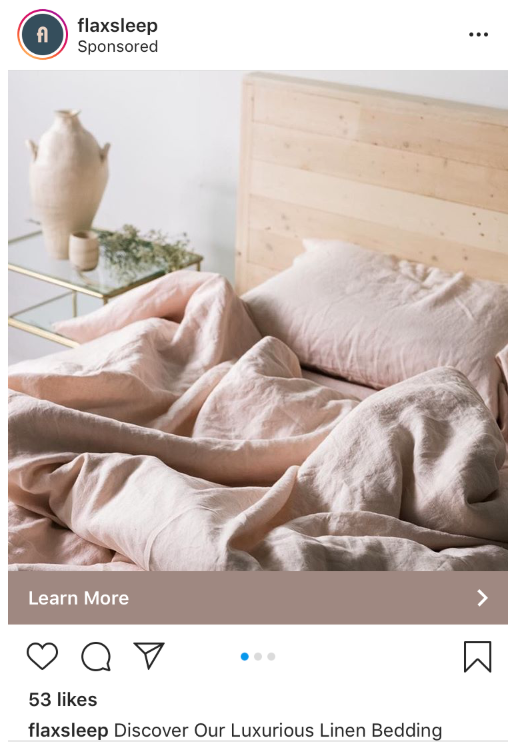 For instance, Flax Sleep is creating a tranquil, cozy vibe that makes you want to crawl into bed—which is perfect, because they’re a bedding company. Stunning images may be the foundation of Instagram, but captions are invaluable for driving engagement and showing your brand’s personality. You don’t need to be a wordsmith to write a killer caption. Just follow a few simple principles. Remember six minutes ago when you set a goal for your campaign? Whatever your ad objective is should be reflected in your caption. Use direct, compelling language, so that your audience is clear about what’s waiting beyond that click. Don’t overthink this! Imagine how you would describe your offer or product in a single sentence to a friend. It doesn’t need to be fancy to achieve results. A helpful shortcut when writing captions is to borrow wording from your landing page. This consistent messaging will build trust and reinforce your offer. You can include up to 2,200 characters in an Instagram ad caption. However, unless you’re selling some kind of quantum mechanical time machine, you probably don’t need that much space to explain your offer. Since only the first few lines will be visible without clicking for more, place the most important details at the beginning of your caption. Don’t feel like you need to use up every character if you can make your point in less. Your photo is worth a thousand words, so your caption can be brief! Your ads are part of your overall brand identity, and they should reflect your values and character. Don’t get so focused on the details of your offer that you abandon your authentic voice. Especially if you’re targeting awareness (rather than conversions or engagement), your caption is your opportunity to make a memorable first impression. You’re almost done! Just a few last steps as you wrap up your ad. 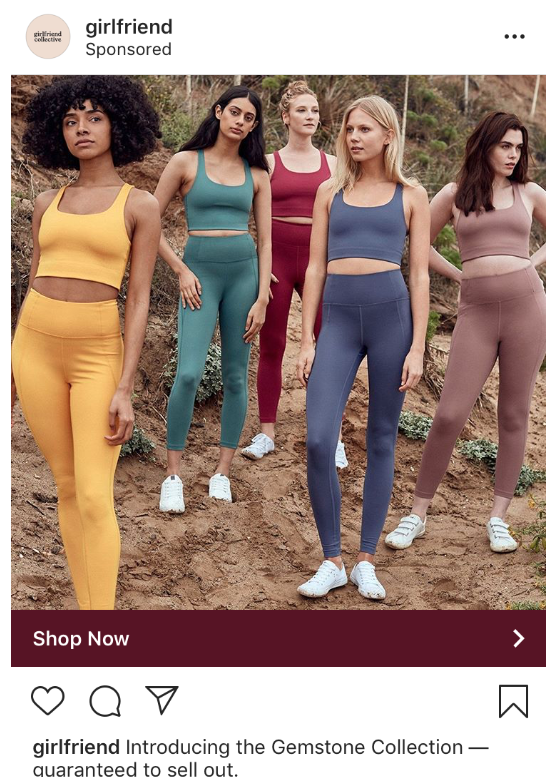 Where are you sending people when they click your ad? A clear, focused landing page will drive conversions and reinforce your offer. Wherever your send them, make sure the next step — whether it’s a purchase, subscription, or sign up — is crystal clear! 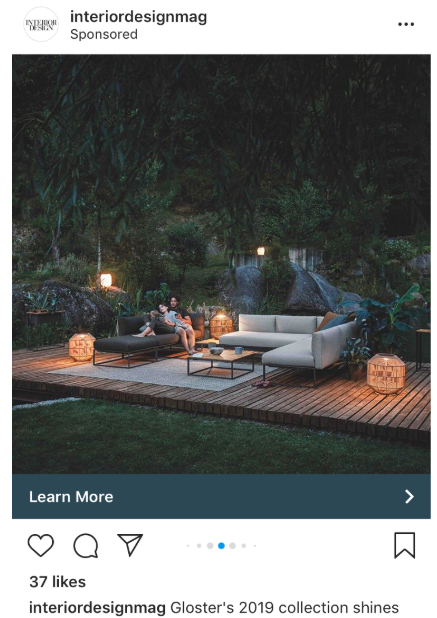 Instagram has a menu of CTA buttons, which will appear between your image and caption. Choose the one that aligns with the message in your copy and the goal of your campaign. Time to take a moment to check your work and look at the ad as a whole. Don’t race through this step! You still have one whole minute. Is the most important part of your offer getting cut off? Rearrange your copy. Is your CTA redundant? Edit your caption, or switch up your CTA selection. This is also your moment to triple-check spelling, grammar and tone. It’s amazing (and embarrassing) how easy it is to miss your own typos. 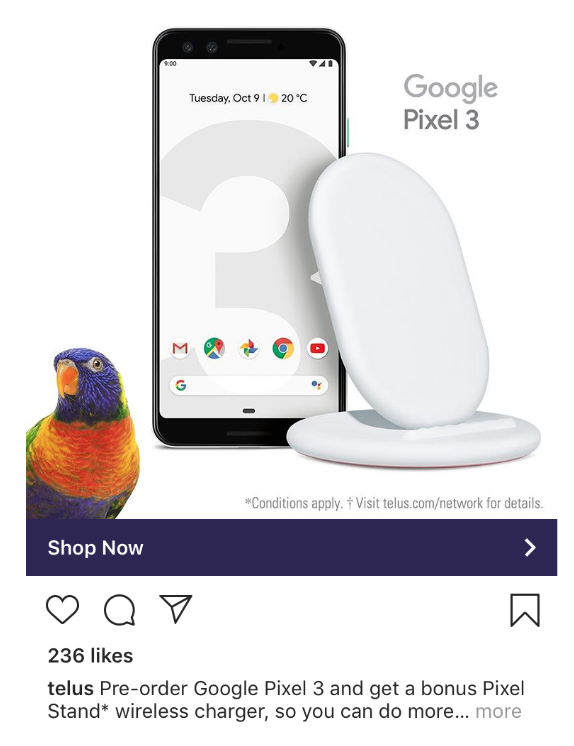 For peace of mind, I always ask someone else to have a glance before I take my ads live. And that’s it! 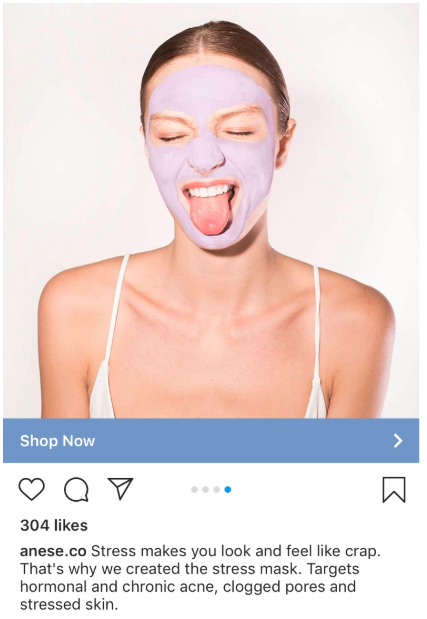 You nailed the perfect Instagram ad in only 10 minutes. The best part is, this ad cycle will provide you with new insights to inform your social media marketing strategy. Good luck! 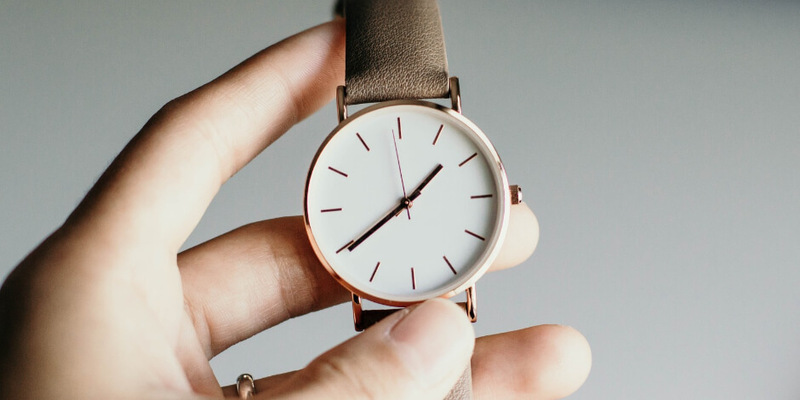 Save time managing your Instagram presence using Hootsuite. From a single dashboard you can schedule and publish photos directly to Instagram, engage the audience, measure performance, and run all your other social media profiles. Try it free today.